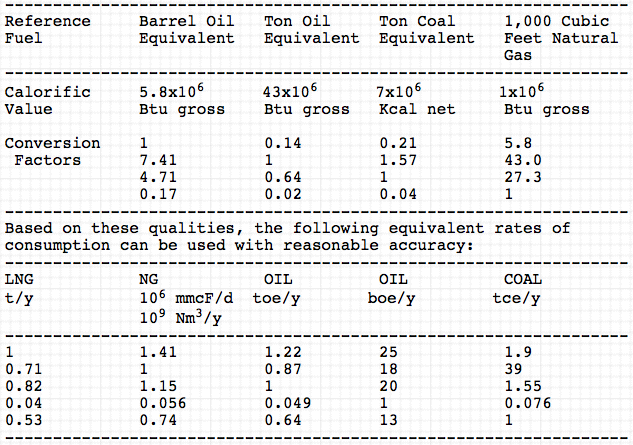 Crude petroleum, and the refined products made from crude oil, are normally measured either by volume in gallons and US barrels, or by weight in tons or tonnes. 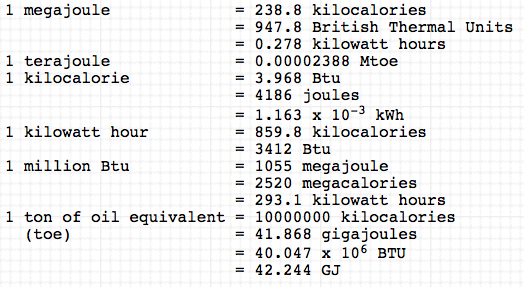 The relationship between volume and weight is usually measured by density in the United Kingdom (the alternative measure is relative density or specific gravity). 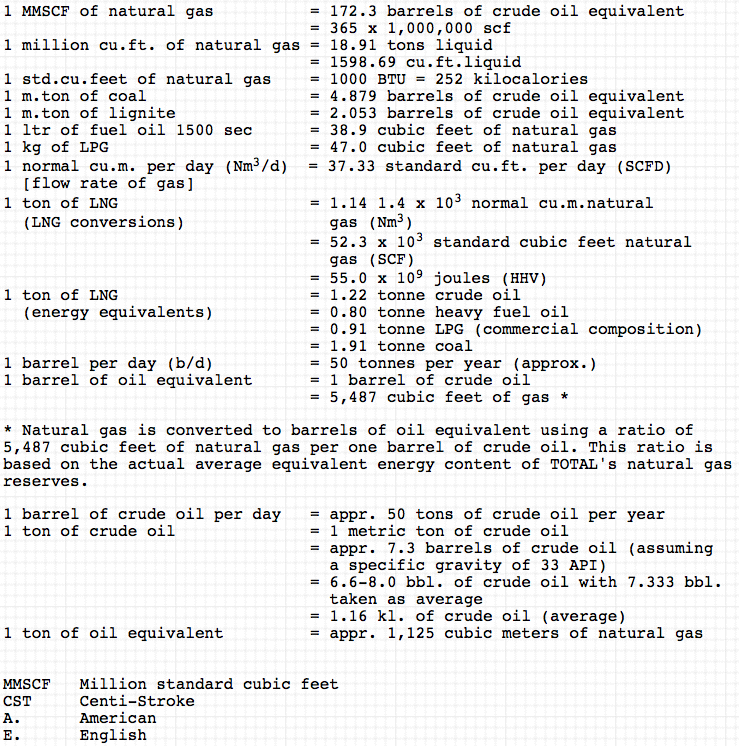 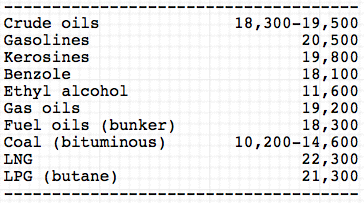 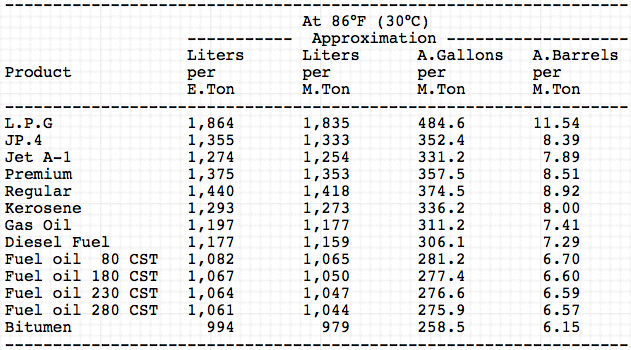 American oilmen usually reckon quantities of oil produced, moved or processed in barrels per day (bpd or b/d). 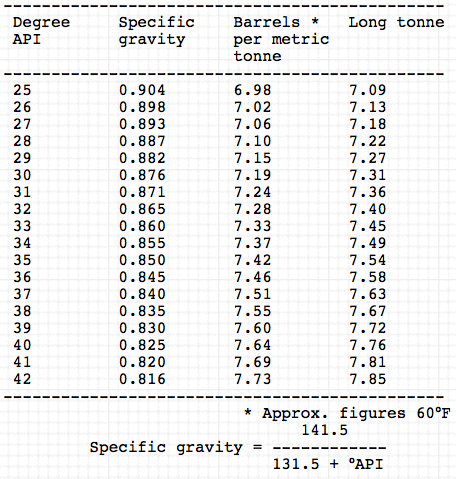 The loose but simple rule of thumb for conversion is that a barrel a day is roughly 50 tonnes a year, but the relationship varies according to density and so according to product. 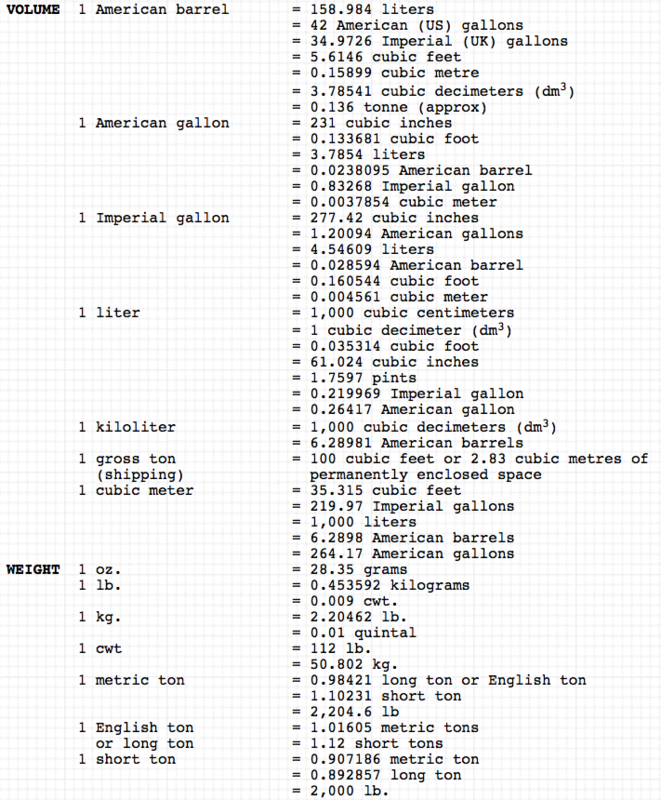 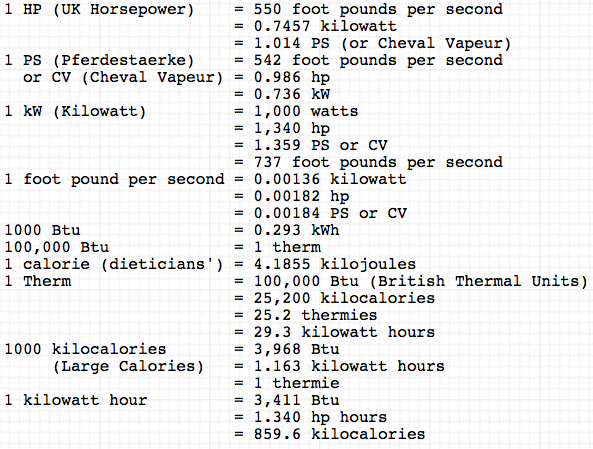 These conversions are based on the assumption that all weights are weights in air, which is the correct basis for computing bulk commercial quantities of petroleum.